Bengaluru, 16th October 2017: Rajasthan Boys and Tamil Nadu Girls have been crowned champions of the 44th Sub Junior National Championship for boys and girls that just concluded in Bangour College Stadium, Didwana, Rajasthan. The Championship was organized by the Rajasthan Basketball Association under the aegis of the Basketball Federation of India. 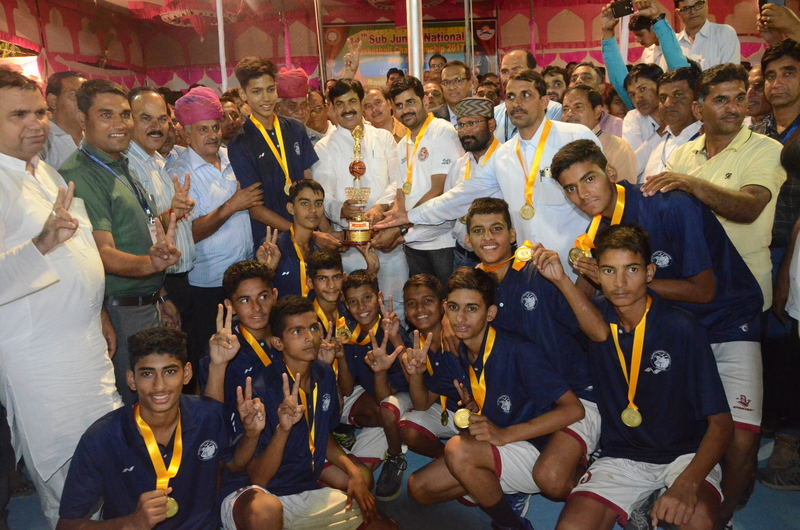 Rajasthan boys continued their undefeated run in the tournament even in the finals against the other undefeated team in the tournament and the defending champions, Madhya Pradesh. Rajasthan played like champions from the first game of the tournament defeating all their opponents with big margins. One of the key factors in Rajasthan’s victory was their defence which helped them gain a good lead in the finals as well. Forward Lokendra Singh dropped 21 points for Rajasthan providing the team a powerful start whereas guard Prashant Chauhan led all scorers with 28 points. Madhya Pradesh’s Bhagat Singh was leading their team to a comeback in the third quarter but got fouled out eventually in the beginning of the last quarter. Tamil Nadu girls defeated the defending champs Chhattisgarh in one of the most thrilling games of the championship. Chhattisgarh replied to every basket scored by TN with a basket of their own, the lead kept on shifting from one team to the other until the games’ top scorer Sathya(43 points) took the game away from Chhattisgarh. Chhattisgarh girls went on to the second half of the game with an eight point lead but couldn’t capitalise on it. Kirti scored 24 points for Chhattisgarh who has been a consistent scorer for them throughout the tournament.